Remembering my trip to Kashmir is somewhere helping me to survive in this burning hot weather (oh! I just hate this summer). Early in the morning while I was going through the pictures of my Kashmir trip I found the right pictures to share with you all. Roughly, three years ago my family and I went on a trip to Kashmir, that city is a perfect definition of scenic beauty indeed. Living on a house-boat with water all around and traveling on the Shikaras is just an amazing feeling. Kashmir not only gives you a chance to witness beautiful monuments and hills but you also lets to see fair and beautiful Kashmiri boys and girls who looking stunning in their traditional outfits. The first picture that I will be sharing today is of the house boat I lived in. With their beautiful interiors these houseboats will make you fall in love with them in just one look, that is what they did to me. Though the light-out at night was bit scary but the princely feeling which I got there was worth it. 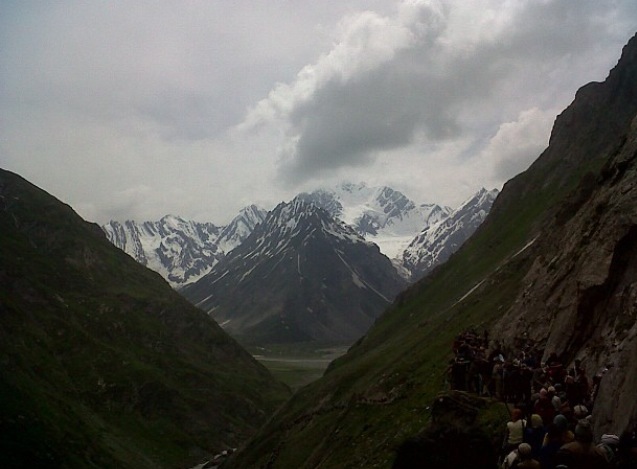 The next picture is from the Amarnath Yatra, that was the first time that I saw traffic jam of horses in my life. It was something more than adventure, on a road that would be equal to length of my arms if I stand expanding my hands, horses were coming and going with riders on them with their masters along with other pedestrians with a huge mountain on one side and a deep valley on the other and all of us were on horses at that time, scary it was then and scary it is even today. Well actually this picture is of mount. Himalaya that was visible to us while we were on the horses. Here we come to the last picture that I will be sharing with you people. 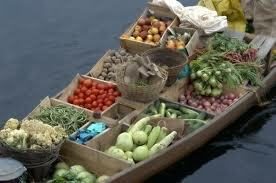 This one is a picture of a Shikara wherein a vendor is selling fruits and veggies on his boat. 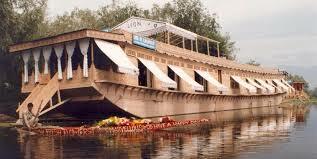 This is a popular way of marketing in Kashmir for those who live in house-boats only. Kashmir is the heaven on earth!